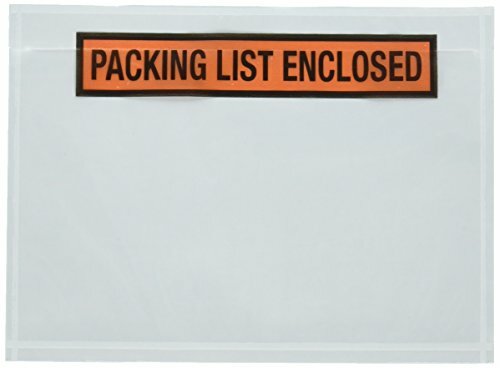 The Clear Adhesive Packing List Envelope is designed to care for all your shipping needs. 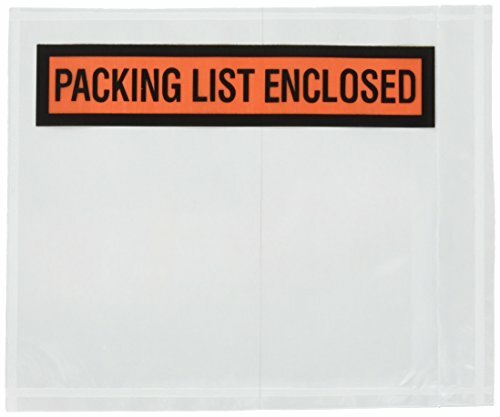 Packing List Enclosed label measures 7.0" x 5 1/2" and is made of waterproof poly material to protect packing lists. Packing list envelopes are an important part of the shipping process. 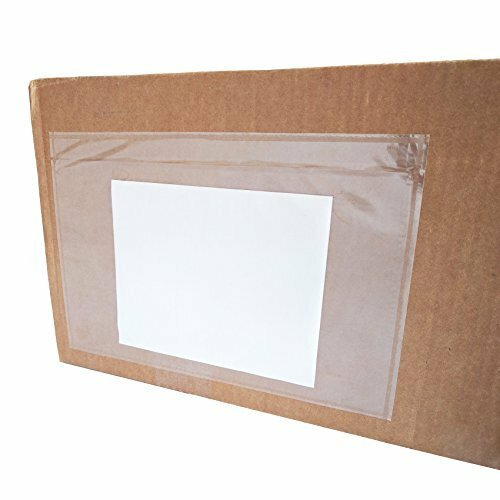 These envelopes help protect your packing slip in transit, assuring all of the order information is received by your customer. This greatly reduces confusion with orders regarding what has and has not been received. 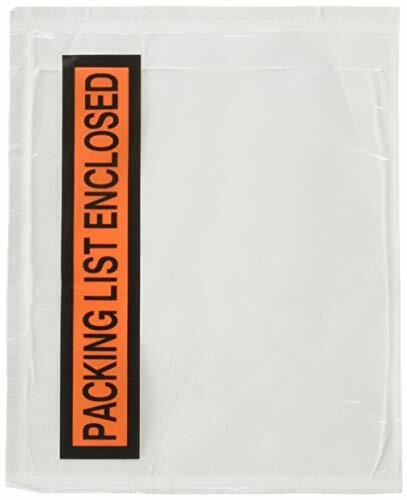 Packing list envelopes feature an adhesive coating or strips for a secure hold. 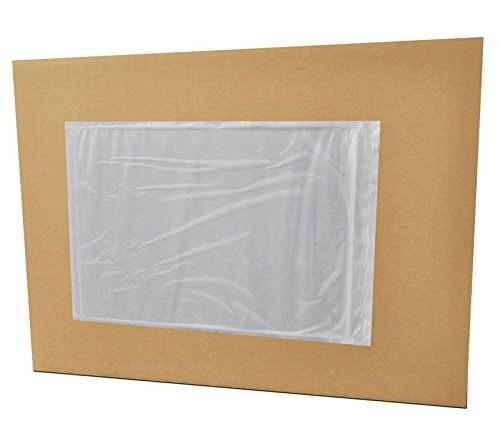 Users simply remove the backing and stick it to the packages, and the adhesive keeps the envelope in place throughout the shipping process. 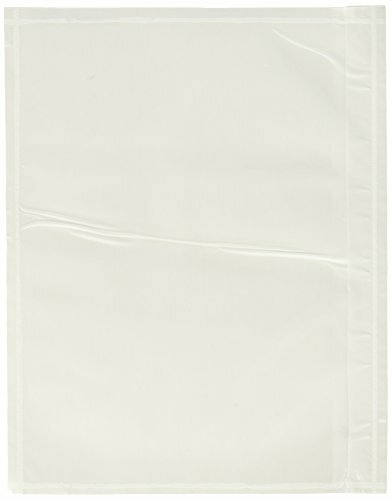 Plain face packing list envelopes are an easy way to clearly display to the customer what is inside. The clear front allows the receiver to know who/where the package is for without the need to open it. Resistant to punctures, tampering and water, you can be assured your document will reach the customer both safely. Package Type: 1000 pieces per Case. Clear front for easy viewing. Able to attach strongly to your shipment. Thickness: Front- 45 MIC LDPE, Back- 40 MIC LDPE. Can withstand against harsh weather and rough shipping and handling. Reduces Pilferage and Damage to documents. Color: Front- Clear, Back- White. Load Type: Back Loading/Side Opening. 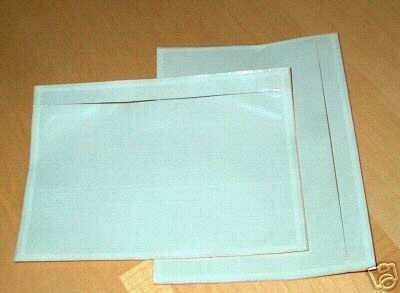 Adhesive: 25 gsm, Synthetic rubber - Hotmelt. 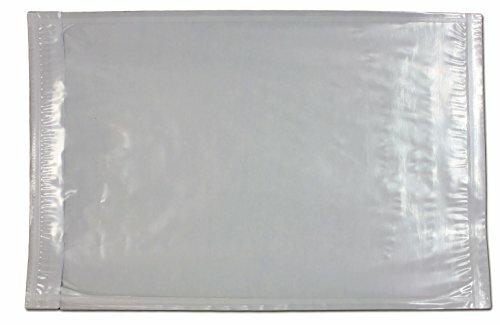 Paper Liner: 70 gsm, White. Inside Usable Dimensions: 6.5" x 9.5". 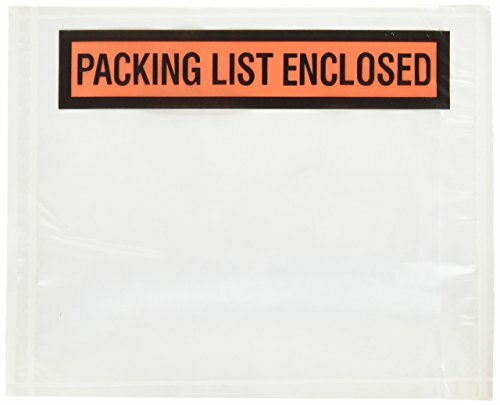 Clear Packing List Envelopes feature a wide variety of standard sizes and styles. 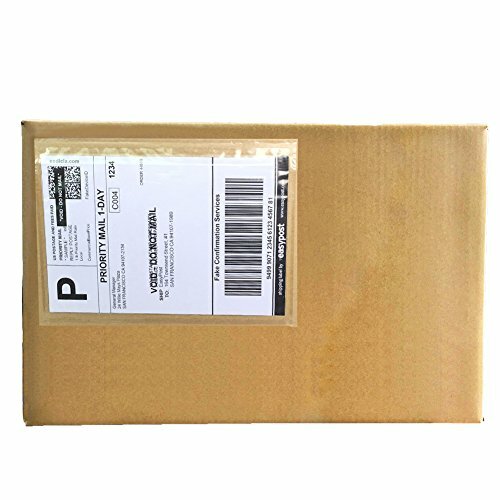 Clear Packing List Envelopes are High Quality Shipping Envelopes. 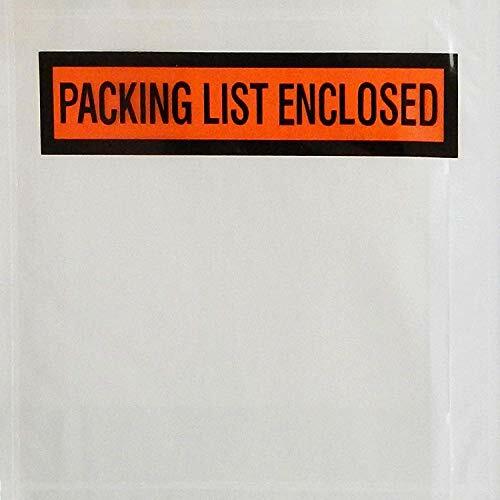 Back Load Clear Packing List Envelopes allows easy opening of the bags. 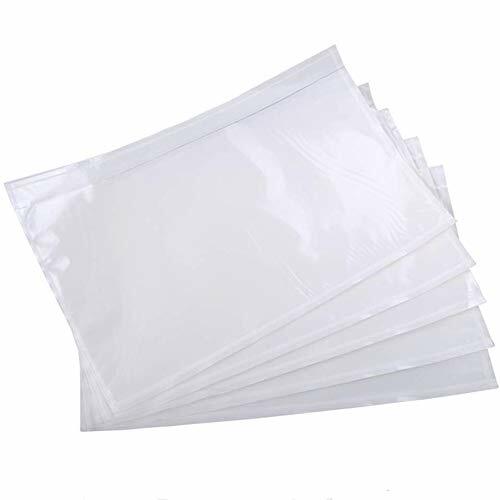 Clear Packing List Envelopes can be Use for variety of purposes. Great for storing the packing list right on the outside of the box. Peel It, Seal It & Mail It! Our Self-Seal Envelopes Are Here To Offer You The Most Flawless Mailing Experience! Looking for a pack of self adhesive envelopes for your business correspondence? 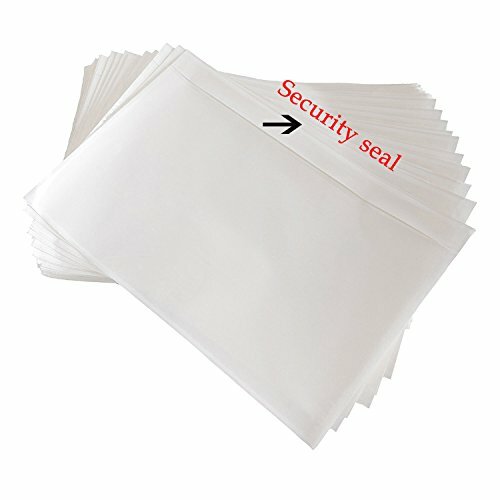 Need a bulk set of 100 security windowless envelopes for your office? Want to send out holiday cards or wedding invitations? 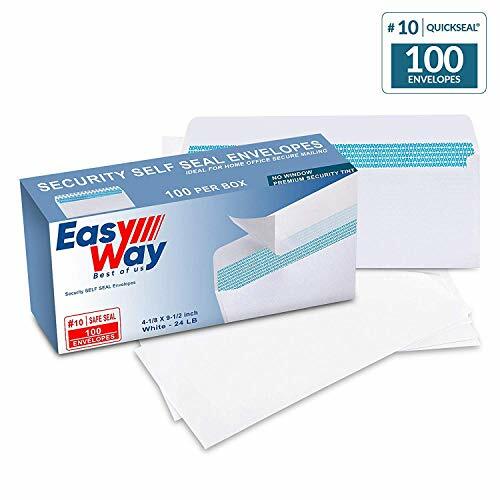 Presenting The Ultimate Self-Sealing Windowless Security Tint White Envelopes By EasyWay! Now you can cover all your needs with our cost-effective and high-quality self-seal white envelopes, which are designed to keep your documents safe thanks to their ultra-strong closure and premium security tint! 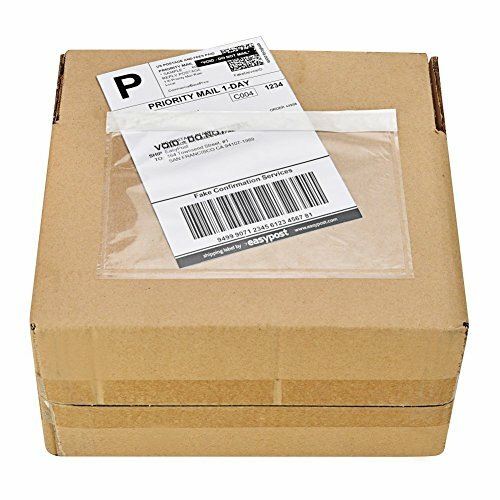 Why Choose Our Self-Sealing Envelopes 100-Pack? Top 3 Amazing Reasons Our Envelopes Are The Easy Way! We back our self-adhesive white tinted envelopes with our exclusive 100% peace-ofmind guarantee! If you're not 100% satisfied, we promise to buy them back from you at full price! 6" x 9" Clear Plastic Shipping Label / Packing Slip Sleeves by Alpha-Bot Industries provide fast and hassle-free loading of any standard size labels by all major shipping carriers, as well as half-folded standard A4 (8"x11") and A3 (11"x16") letter sized paper for custom printed packing lists and labels; no trimming required. 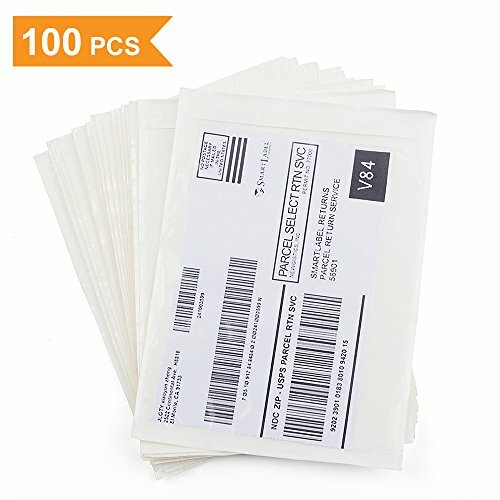 Great for eBay and Amazon return/shipping labels. 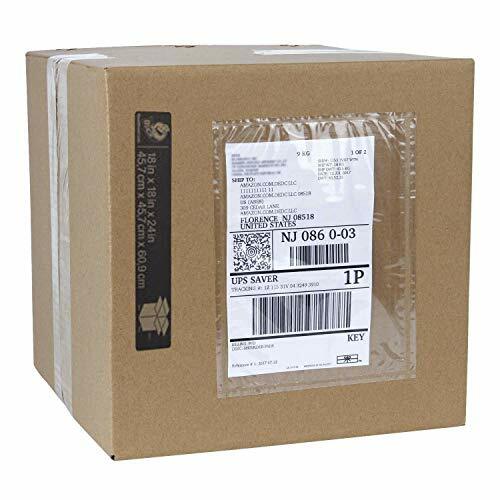 Made with superior quality tamper-proof and waterproof 3 Mil poly film without unnecessary print or obstruction for easy scanning, making sure your packages reach their destinations worry-free. Convenient wide mouth, rear/top-loading, self-sealing design allows for document insertion with maximum efficiency and minimal effort; ultra secure with no extra adhesive flaps to mess with. Just insert, peel, and slap it on! 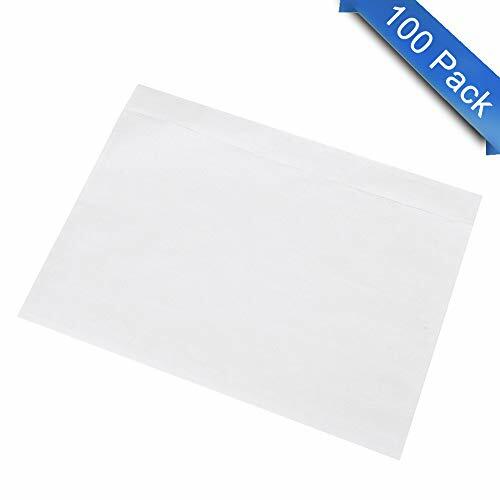 Strong, easy to peel, edge to edge adhesive backing; attaches securely to paper, cardboard, plastic, wood, metal, and other common dry surfaces; adheres to packages of various shapes, even those with odd edges. Quality consistency guaranteed, or your money back! This product is made and distributed exclusively by Alpha-Bot Industries. To ensure product authenticity, please only purchase from Amazon seller "Alpha-Bot Industries", and check for our robot head logo on the product bar-code label. We thank you for your help in our efforts to maintain quality integrity for our valued customers.